Activist investor Jonathan Litt is again urging Hudson’s Bay Co. to explore ways to unlock the value of its real estate, arguing the owner of Saks Fifth Avenue should look to Macy’s Inc. for an example of how to improve shareholder value -- or even sell itself to its American rival. Litt said in a letter to Hudson’s Bay shareholders that he continues to monitor the company’s performance and may consider nominating directors or calling a special meeting now that his settlement agreement with the Toronto-based department store owner has expired. “Hudson’s Bay could learn a lot from the way Macy’s has built a credible real estate team to help drive its turnaround,” Litt wrote in the letter released Thursday. “One could even reasonably ask whether the most logical course for HBC at this point would be an acquisition by Macy’s as opposed to trying to play catch up." Litt’s Land & Buildings Investment Management owns a 6.2 per cent stake and has been agitating for a year for the company to unlock its real estate and return value to shareholders. He said the real estate alone is worth $31 a share, almost three times Hudson’s Bay’s stock price of about $11.70. “The Saks Fifth Avenue flagship in Manhattan is worth more than where the stock currently trades," he said. Real estate is already part of the struggling retailer’s turnaround plan. Hudson’s Bay is in talks to sell its prime location in Vancouver and agreed to sell Lord & Taylor’s flagship store in Manhattan for $850 million last year. It’s also cutting other losses, selling flash-sale website Gilt earlier this month to Rue La La. A representative for HBC couldn’t be reached for comment Thursday. Chairman Richard Baker was asked about the real estate initiative earlier this month at Hudson’s Bay’s annual meeting. He cited partnerships in some cities with retailers such as TopShop or office-sharing firm WeWork Cos., which is taking over some stores’ top floors. Baker also came under fire at the meeting after some investors, including the Ontario Teachers’ Pension Plan and the California Public Employees’ Retirement System, voted against his pay package that totals almost $55 million including performance-based awards. Litt reached a truce with Hudson’s Bay in December that expired at the annual meeting. He said shareholders made it clear at the AGM that the company was not moving fast enough to monetize its real estate portfolio. He noted Macy’s stock price is up more than 50 per cent this year on the back of better than expected guidance and its efforts to explore real estate deals. HBC has gained about 4 per cent this year. 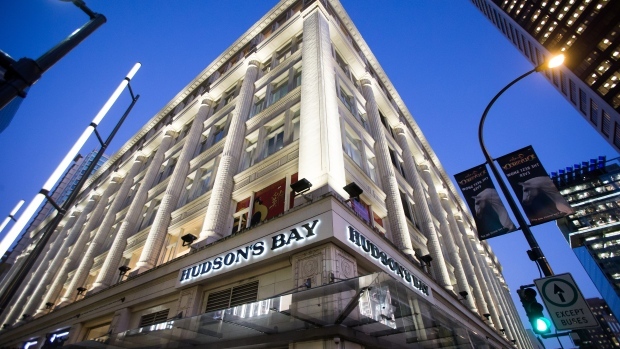 He said it was too early to evaluate the performances of Hudson’s Bay’s recently appointed Chief Executive Officer Helena Foulkes and Chief Financial Officer Edward Record. Litt is concerned about Foulke’s lack of retail experience and that there have been no operational improvements during her tenure. “In 2018 thus far, the Department Store Index is up nearly 40 per cent while Hudson’s Bay’s share price is nearly flat year-to-date. It has become clear that the familiar refrain blaming the challenges of the macro retail environment no longer rings true," Litt said. Last month, Litt won a seat on the board of Taubman Centers Inc. after his second proxy fight at the U.S. mall owner.